at Ohio and 7th St. (2 blocks east). to violence. On the night of Feb. 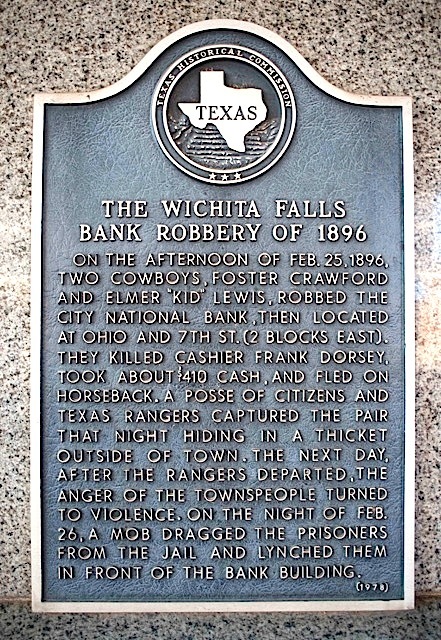 The marker was placed on the front wall of the City National building, 807 Eighth Street, rather than Seventh and Ohio streets where the robbery, murder, and lynching occurred. In May 1978, the chair of the Wichita County Historical Commission, Mrs. E. E. Clack, wrote that they would install the marker on Eighth Street to protect it from possible vandalism. 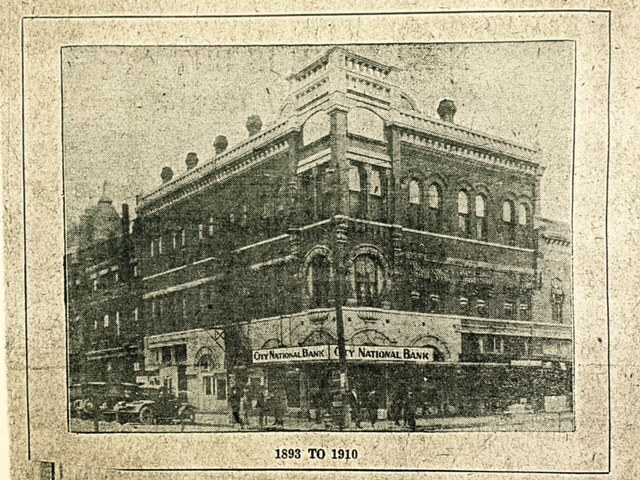 The area around the former bank had by the 1970s deteriorated, and its safety was in question. The area has since experienced a Renaissance after successful revitalization efforts. Location: 807 Eighth Street, Wichita Falls 76301.